A spare bathroom is a desirable feature in a home. Even a half bath provides a place for guests and household members to use the toilet and wash their hands. While this extra room is typically small and simple, it must be functional to stand up to the ongoing traffic. Discover the benefits of installing cheap laminate flooring in your NJ spare bathroom. The main bathroom and the master bathroom are expected to be luxurious. Often people spend thousands of dollars on heated floors and high-end fixtures. A spare bath is meant for practical purposes. People spend little time in this room, despite the fact it becomes a necessary space. Cheap laminate flooring is a beautiful yet affordable choice that fits into any budget. A spare bathroom is used by everyone in the house as well as visitors to the home. As a result, this little area gets a lot of traffic throughout the day. The flooring needs to stand up to plenty of use throughout the months and years ahead. Laminate floor is durable and meant to endure all the feet that enter and leave the room. Hardwood floors are gorgeous but they are not always the most practical choice for a trafficked spare bathroom. 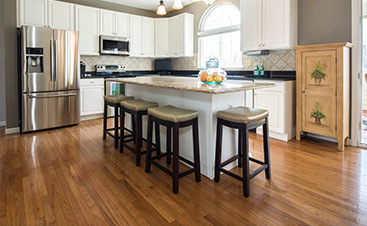 Laminate floors can endure exposure to water and moisture. People go into the room with damp shoes and socks. And some spare bathrooms have a stand-up shower stall. Even a basic toilet and sink can leak water. 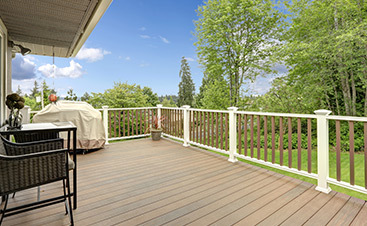 Laminate floors are ideal for environments that get moist. One of the favorite aspects of cheap laminate flooring is the variety of options. Laminate floors are made to replicate all the high-end finishes without breaking the bank. If homeowners want the look of hardwood without the price and upkeep, there are a variety of wood-like laminate floors to consider. And laminate flooring also resembles ceramic tile for a classy look at the right cost. 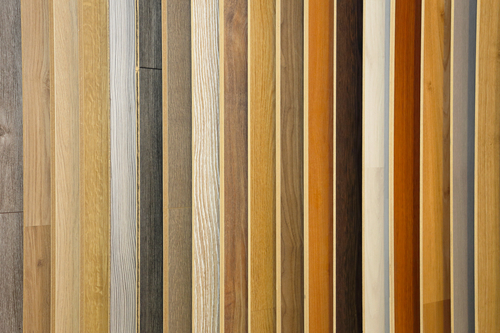 Beyond the many textures of laminate floors, they also come in a rainbow of hues. Bathrooms are as different as the people who have them in their homes. Some homeowners prefer a white bathroom while others like shades of gray, black, or blue. No matter what color the bathroom design is, there are laminate floor colors to match it. Plus, throw rugs can be used on laminate floors for an added touch of color and style. Wood and ceramic floors require ongoing work to look good. Laminate is one of the simplest floors to maintain. All it takes is a quick vacuum and mop to get the floor clean. Spills can be wiped with a sponge or cloth. And repairs are usually easy and affordable to fix. 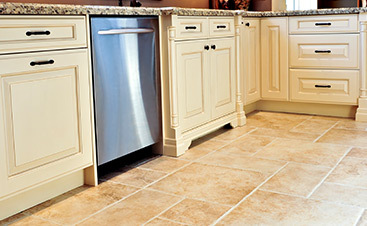 A local flooring professional helps people match the floor and replace tiles as needed. Another advantage of having laminate floor is the ability to change them without major renovations or hassles. A laminate floor in a small room can be replaced in less than a day. If the homeowner gets tired of the color and decor in the bathroom, they can change it quickly and for an affordable price. It is one of the easiest ways to transform a living space. And flooring is one of the first features people notice when they enter the room. Schedule an appointment with an NJ floor specialist to learn more about the benefits of installing cheap laminate flooring in your spare bathroom. Take an ordinary room and make it extraordinary with eye-catching laminate floors that are also durable and functional.